The Lost Dogs' Home employs a team of dedicated people who work passionately to care for the 20,000 dogs and cats the Home receives annually. In their work they are rewarded by making a positive difference to the lives of animals in need. However, staff must also deal with the results of irresponsible pet ownership and therefore some 'heart-rending situations'. For people who really love animals it can be tough and stressful. 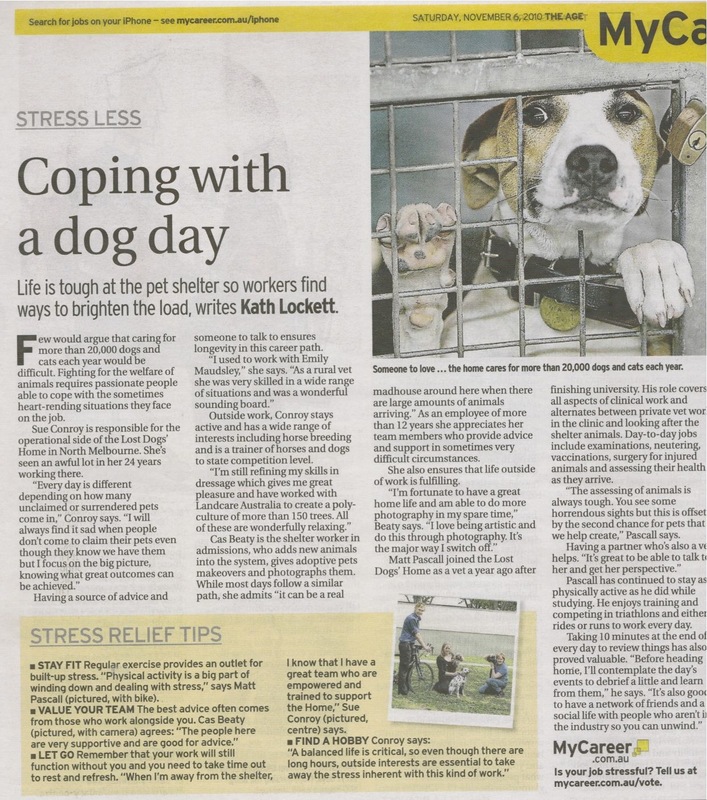 In the 'MyCareer' article General Manager Sue Conroy, Shelter Worker and Photographer Cas Beaty and Veterinarian Matt Pascall share some of their strategies to reduce stress and cope with the challenges of working in animal welfare. Want to read more about this? Visit the MyCareer website.